It’s something little girls dream of, being crowned while standing in front of a throng of cheering people. For fourth-year pre-med IAML-Spanish major Jacline Griffeth, it was a dream that unexpectedly came true at this year’s homecoming game when she was named the Institute’s new Ms. Georgia Tech. The night was the result of a hectic week of interviews and homecoming events for Griffeth. Griffeth has always been involved with campus life. She’s worked directly with the President’s Scholarship Program, as well as the Community Service Council where she currently serves as Vice President. She is also a member of Alpha Gamma Delta, the sorority that sponsored her as a candidate. While she was busy the week leading up to the game because of her organizations, Griffeth still had time to enjoy homecoming traditions. As game day approached, she was light-hearted and excited about what the night held for her. Griffeth’s excitement climaxed as she walked onto the field. When she heard her name, she felt as though she were living a dream. She celebrated with her family before heading to the student section to watch the end of the game with her friends. Though the night was a blur of excitement, the next day and those that followed brought a myriad of new experiences for Griffeth as she was now the face of the Institute. “I’ve been able to meet a lot more of the Tech community—people I’ve never met before, ones I’ve recently met, and ones I’ve known for a while,” Griffeth said. 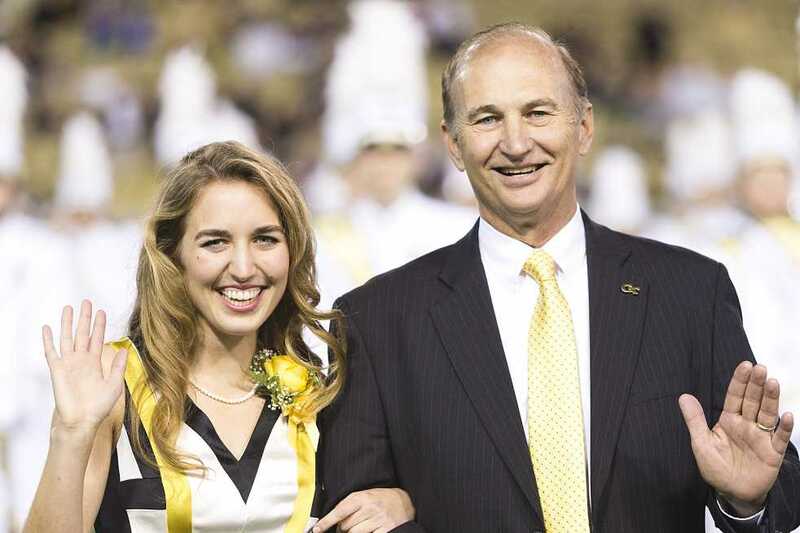 Griffeth has become even more connected with the Tech family since being chosen as the newest ambassador of school tradition and spirit for younger and older generations alike. The process has also given rise to somewhat of a superstar effect for Griffeth, something she never anticipated happening to her. This aftermath, and the process as a whole, has been something Griffeth has thoroughly enjoyed. From riding in the Reck to going onto the field with the football team, the entire experience was something she will remember for years to come.